Our founders championed the political structure of “republicanism”, i.e. a system of government based upon democratically elected representatives who would govern in behalf of those who elected them and to whom they would be accountable for the manner of their governance. Since then we have seen the rise of socialism and its variants of communism and fascism throughout the world and more alarmingly, our transitioning from the republicanism upon which we were founded to fascism. This week Michelle Obama demonstrated another “-ism” towards which our country has been lurching for decades – “nannyism”. One of the actions advocated by the first lady’s “Let’s Move” campaign was an overhaul of the nutrition labels on food packaging. These updates that she will be announcing were recently finalized by the Food and Drug Administration (another agency without authority granted to the federal government among the enumerated powers in Article I Section 8 of the Constitution). It is not the government’s role to tell companies what and how they must label their products – that is the role of consumers in the marketplace who can bring pressure on companies to do so or, if necessary, by the states. Furthermore, as is usual with governmental regulations, it will only place more burdens on businesses, the cost of which will ultimately be borne by us, the consumers as all such costs are. According to industry estimates, it will cost companies at least $640 million to make the updates, with a net social cost of at least $1.4 billion. The question to be asked is “Will this be an improvement or just more government heavy-handedness?” A number of scientists are going on record that these new guidelines are not based upon sound science. A dozen scientists have signed a joint letter stating that the new requirements are misleading. Among those signing this letter are Roger Clemens, a member of the 2010 Dietary Guidelines Advisory Committee, and Eric Decker, head of the Department of Food Science at the University of Massachusetts. They further state that these regulations are based upon the 2015 Dietary Guidelines, which were formulated by a committee that did not include even one expert on sugars; yet the first lady boasts that the most important change in these regulations is information about sugar content! So as with most other similar government regulations, they are outside the scope of the role and authority of government as well as being inaccurate, misleading and costly. But then again, we are too stupid to know better than to consume an entire bag of Oreos, so we need the government to tell us. 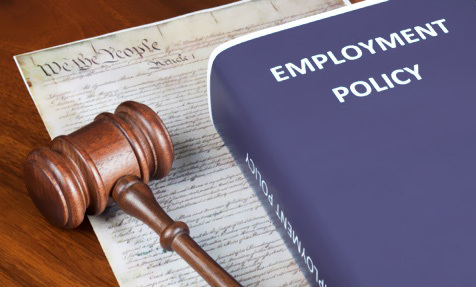 The Department of Labor has announced new regulations redefining the classification of workers who will be entitled by law to overtime compensation and the salary levels below which workers must be reclassified. As with all such interventions by government, there are issues to be taken with this one on many levels. First is the existence of a Department of Labor which is tasked with regulating labor relations within our economy. Nowhere in the enumerated powers of the US Constitution is the government granted the power to create such laws and regulations. We claim to have a “free marketplace”, but it is only lip service; in fact it is, by the definition of Fascism economics, a Fascist marketplace. As Ayn Rand put it, “…a system in which the government does not nationalize the means of production, but assumes total control over the economy is fascism.” This is the very description of the direction our government has been heading for decades, and is only picking up steam with such encroachments into business practices such as this. The consequences of this latest regulation will be no different from what Friedman stated about the effect of the minimum wage. Are there occupations where individuals are being taken advantage of by companies that this regulation is intended to help? Most definitely. However the solution is not the heavy hand of government interference, but rather the power of the marketplace. When enough people refuse to perform certain kinds of jobs for the wages offered, companies will be forced to raise the salaries and/or benefit packages to attract the quality of employees they seek. As one who has earned professional certifications in the field of compensation I can attest that market forces are extremely forceful in determining compensation levels. In Jesus’ parable of the workers in the vineyard, those who worked all day were paid the same wages as those who only worked a small portion of the day. When they complained because they had worked longer than the others, the owner said “Didn’t you agree to work for a denarius? Take your pay and go.” If we accept a position in exchange for a certain amount of compensation, then that is our decision; it is we who made the agreement and if we don’t like it, then either don’t accept the offer or stay in that position while seeking better employment. I have done this more than once in my career. It is not the function of government to improve our situation in life; it can only make life more difficult when it goes beyond the purpose for which it was created. When we think of tyranny it is usually pictured in the form of a despot such as the emperors of ancient Rome or our modern-day want-to-be emperors such as Hitler, Stalin, Kim Jung-un, etc. When we look at our current system of government we could also add unelected bureaucrats who populate such agencies as the EPA, BLM, IRS, et al. As you examine these various avenues through which tyranny can and has manifested itself, there is a continuum on which all of these forms fall. At the each end of it are two extremes that are manifesting themselves in America today. On the opposite end is the tyranny of the minority. This is becoming more prevalent today. The Occupy Wall Street hooligans chanted “This is what democracy looks like”, but such could not have been further from the truth. They were what anarchy looks like; they were an expression of attempted tyranny by a minority. Most recently we see those who can’t figure out what gender they are demanding access to restrooms and locker rooms corresponding to the gender they think they are because to not do so makes them feel uncomfortable. They are a tiny minority in our society yet governments, companies and schools are caving in to this minority even though it makes those in the majority feel uncomfortable. Such capitulations as these (and others in the news) are the submission of the majority to the tyranny of the minority. 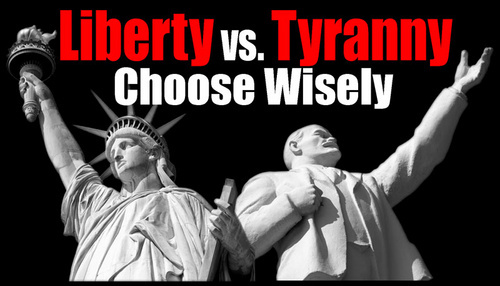 Regardless of whether we are speaking of the tyranny of one individual, a particular political party or group of government officials, a majority or a minority within a society, it is still tyranny, and in none of these cases can the inalienable right of individual liberty be realized. 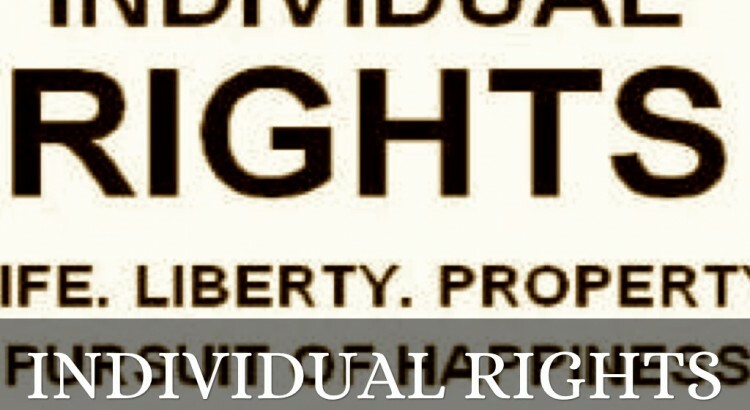 There is much debate in our country today over this subject of “rights.” Many of these claims are without basis, for they are not truly “rights.” A “right” is something you are not given, but instead are born with – it is innate within you, and as such is something to which no one or group has a legitimate claim. Such are the “inalienable rights” we are familiar with from our Declaration of Independence. It should be noted that the four listed in that second paragraph, life, liberty, pursuit of happiness and the removal of a tyrannical government, are only the beginning point of “rights;” others are enumerated within the so-called “Bill of Rights” in our Constitution. One of these additional “rights” is brought front-and-center in the first amendment, namely the right to free speech. The meaning of this short phrase is simple – I, you, and everyone else, have the inalienable right to speak our mind without the fear of repercussion. Such a right goes hand-in-hand with those other rights named in that amendment. However, even rights have their limitations. My right to life, for example, ends when I willingly take away that right to life of another fellow human being. My right to speak freely ends when my speech slanders another, causing them harm, or prohibits them from likewise exercising their right to free speech. The motto of rights is simple – “do no harm,” for when you do, you forfeit your right of the same nature. As we are in the throes of a tumultuous political season, I have witnessed countless examples of a violation of this principle of rights. Many individuals have taken part in protests against those seeking public office. Such protesting is a legitimate right; but when the actions of those protesters prohibit the rights of those candidates to speak or in prohibiting their fellow citizens from engaging in the political process in a peaceful manner, they have abdicated their claim to such a right. There are so many other areas where we see this principle being violated. The riots in Ferguson, Missouri or Baltimore, Maryland, where thugs and hooligans went on a rampage, destroying private property (ownership of which is another alienable right) because they felt an injustice was committed are two recent examples. If we are to be a “civil” society, it is high time we begin to act “civilly.” This is why we must ingrain the concept of “rights” and the motto of “do no harm” within our children by teaching and demonstrating this principle to them; for a society that is no longer “civil” is a society that will collapse inward upon itself and cease to exist.